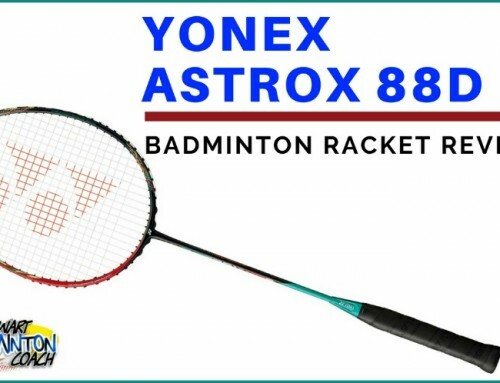 The big news from Yonex in 2018 was the launch of the Astrox 88D and Astrox 88S badminton rackets. 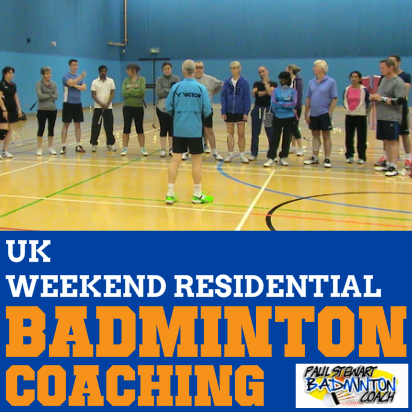 Both rackets have found favour with professional through to county and league players. 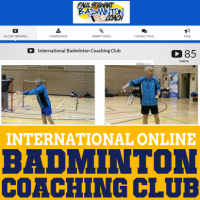 With the launch taking place at the All Englands in March, there was always a question whether another new racket would emerge later in the year, especially at the Japan Open. The Yonex Astrox 99 was unveiled at this tournament with two big names confirmed using the racket, legend Lee Chong Wei and new World number 1 and recent World Champion, Kento Momota. 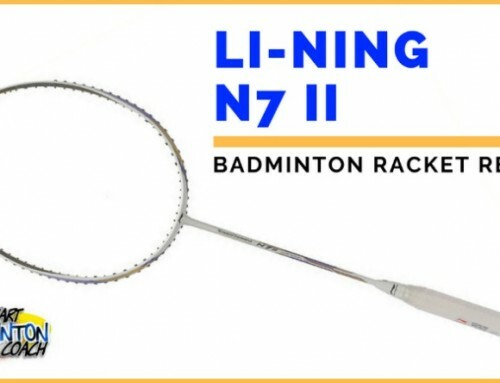 Yonex have advertised this badminton racket as the one that provides steep attack. Let’s see if the latest Astrox technology can do what they advertise. 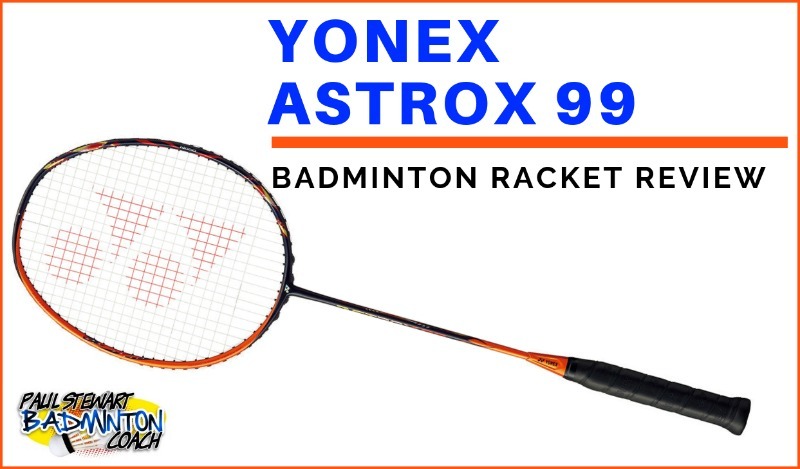 The Yonex Astrox 99 is a good looking badminton racket featuring a half black, half orange colourway on the head with gold decals, moving into a black shaft, then orange moving onto the ferrule. The shiny finish and colours look really good. My review sample is a 4U (80-84g) with a grip size G4, not my favourite size. The standard full length cover in black, with silver decals is included. The frame required stringing and I selected a BG80 which is always a favourite at a slightly higher tension of 27lbs. Having recently tested both 88D and 88S, it’s interesting where this particular fits in the series. Is it head heavy compared to 88D, is there more flex? There is definitely a similar feel and I hope there will be more to report on this racket compared to the 88’s. The Yonex Astrox 99 has an interesting feel. Whilst it is a stiff flexed, head heavy racket, the weight in the head appears to be more evenly spread, more akin to 88S than 88D. But there was definitely a difference compared to 88S, although it is difficult to pinpoint where. It’s as though the combined weight carries the head through the shot so well as an entire unit rather than a part of the frame. For me, Astrox 99 didn’t quite feel as sleek or as fast as 88D, although I still felt the head moved well when performing overhead shots. When hitting clears, Astrox 99 delivers nice, crisp shots, better than 88S but not quite as easy as 88D. 99 just needed a little more work. 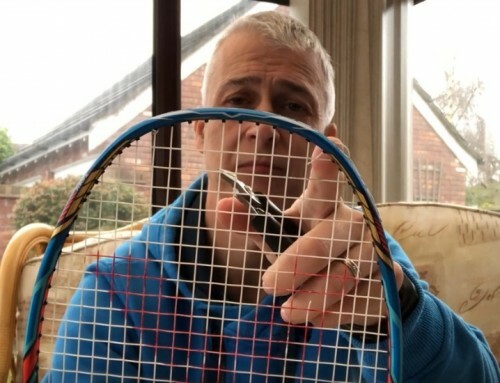 There’s plenty of power, but you need good preparation and technique to get the most from this racket. I can imagine it being very unforgiving if you’re late on a shot and snatching a reply. Like 88D, I did not find the racket tiring at all, despite the head weight and felt I could continue playing shots in long rally situations. Hitting drop shots proved interesting. The feel was there, delivery good and the shuttle felt solid on the stringbed. Again, there doesn’t appear to be the same speed as Astrox 88D and was possibly a touch slower and similar to 88S. The shots were still very good and I did detect a slightly better angle on some of the shots, or am I being swayed by the marketing? Smash was good too, although I wonder whether the slightly heavier 3U will add more power? The feel on a smash is a bit like throwing Thor’s hammer… it’s solid and needs the correct wind up to make the strike count. Whilst I hit one or two surprisingly steep angles, is this really due to the way the racket flexes? I can’t feel the flex to know for sure. But the feel was really solid, just lacking that top of the head weight for extra oomph or is it that there’s this almost compressed weight which means I don’t really need it? Confused, I feel I need a holiday whilst trying to work this racket out. Mid-court hitting was strong and without problem such as fatigue. This is a solid performer, playing easy flat drives, changing direction was good too. Whilst Astrox 88S version feels faster, Astrox 99 is very close. Push shots to the net area and beyond were easy to control and I felt I had a better feel of the weighting needed on each shot compared with Astrox 88S. Some have reported Astrox 99 as a little sluggish. I think it’s the wrong word although would agree it doesn’t feel as quick as the 88’s. But, there appears to be a denser feel on this frame which can give the impression that the frame is slow. It’s taken me a while to figure it out which has made this review perplexing. Overall, I thought the racket performed well defensively. OK, it won’t be quite as fast as say, Arcsaber 11, but it’s still good. 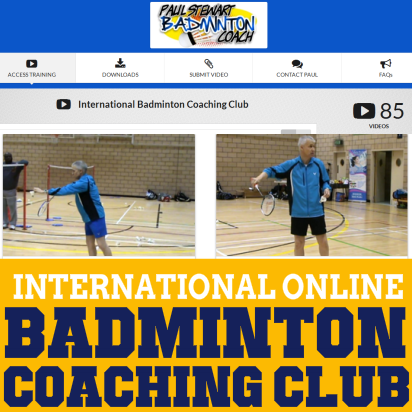 With the right training, any head heavy racket can feel lighter and faster. I wonder whether Astrox 99 is made for the singles market? I liked the feel of the net shot on the stringbed and felt the racket carried well at the net. The weight in the head allows for a nice solid strike for a net kill although it is more difficult to control. Push shots felt so good. Flicks to the rear court were good too but it’s important to shape early. The Yonex Astrox 99 badminton racket has really excited, surprised, confused and bemused me, but in the end, I get it. I wanted to share with you the journey as it’s been a bit of a bumpy ride to understand this racket. With the 3U version expected in Europe in October/November, it’s going to be a tough choice which version to choose. Most likely I’d take the 3U but I would also have preferred a choice in grip sizes. So where do I finally stand with Astrox 99? I think expectation is getting in the way a little. 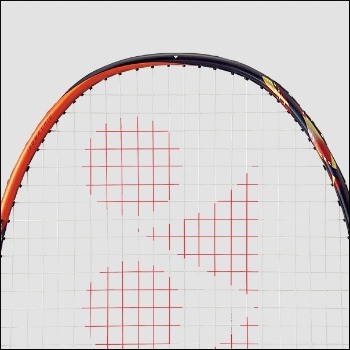 We always want a top-of-the-range racket to be an all-singing, all-dancing amazing shot machine that transforms your game. This is an unrealistic expectation. I expected a slightly heavier headed version of Astrox 88D and perhaps I’ve got it, but not how I imagined. The weight distribution is different and I wonder whether the head is denser to give it that heavier feel. Because of this, the frame needs more precision, good technique, otherwise you won’t get the best from it. I have really enjoyed Astrox 99 although on balance, I still prefer the Astrox 88D. From what I’ve seen, most of the top players have remained with their 88 series rackets rather than jump ship to Astrox 99 so perhaps there is some truth in what I’m saying and questioning. It took me some time to get the feel of these high-end Astrox rackets, but now I like them and can see players liking them too. Astrox 99 is definitely another winner from Yonex although I believe the appeal will most likely be from singles players more than doubles. RRP on Astrox 99 is £195 but retailers are already discounting to around £175 which is still a lot of money for a racket. The highest recommended tension is 28lbs which is still a shade low for a racket of this calibre. This is a professional players racket and I would gave expected to be registering a 30lbs recommended tension. Overall, I’ve had an emotional ride with Astrox 99 and will miss it. 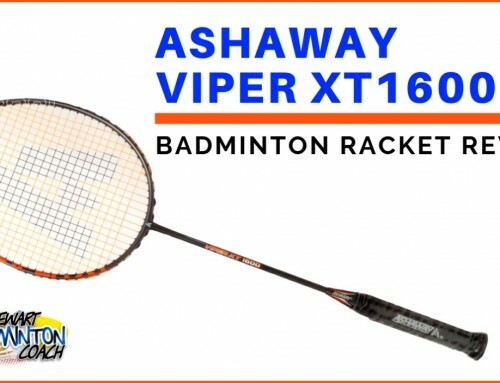 No doubt this top-of-the-range racket will be a good seller for Yonex, irrespective of the price tag. But, it should come with a performance warning on the basis you’ve got to have great technique and be able to use a head heavy racket to unlock the magic. Because of this, I award Yonex Astrox 99 a 4.5 rating and can honestly say this has been one of the most difficult racket reviews to write! We tested the racket too , being a head heavy racket if i compare Astrox 99 power with VT Z Force II then i will prefer to go with Z Force II. However somehow Astrox 99 feel better on counter attack. 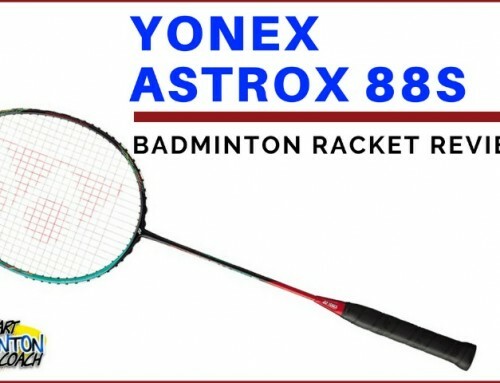 Astrox 99 is good in defence while we feel some power loss on baseline attack..
Recetly Yonex introduces the Astrox 39 and 69 … Looking forward your review for these. to answer your queries(as i have a 3U/G5 Astrox 99), a 3U version would certainly deliver a more powerful smash. however, it does not feel as crisp as other racquets, but thats fine by me. It can compare some Astrox with Voltric Lin Dan Force? Hi Paul, did you get a chance to test any of the mid rangers in yonex astrox’s series? 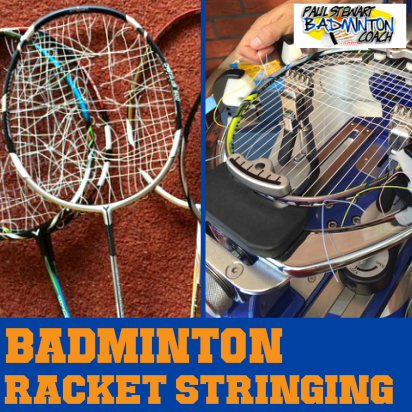 Also have you ever tested any Fleet rackets? I will be testing Astrox 7 and 9 but it will be a few weeks until I complete my reviews of existing frames in the queue. No I haven’t tested Fleet rackets and it’s unlikely I will as none of the retailers I use stock these rackets.